It’s no surprise to read that without good content there is no competitive search engine optimization (= no SEO). Any chance of competing for visibility in search results begins with content, so let’s define a type of content you may not have heard about called ‘evergreen’, ‘geographic tree’ or even ‘anchor’ content‘. Really just buzzwords in content strategy, the practice has proven to be a key factor in the battle for search visibility. 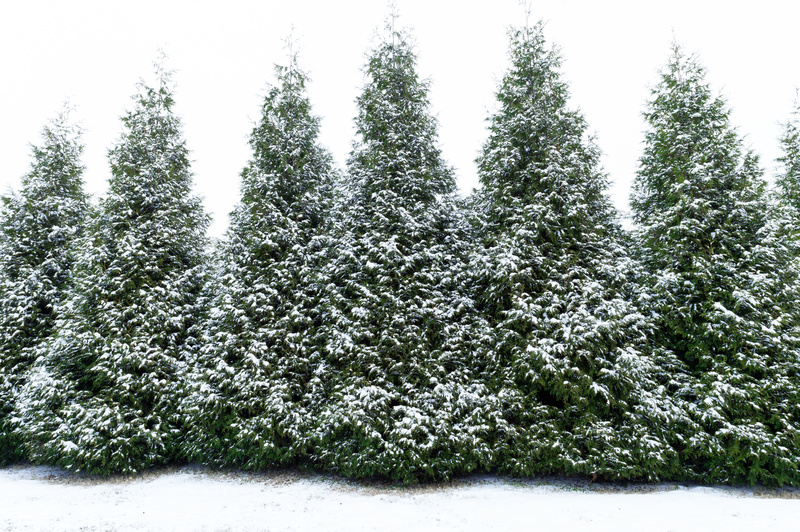 ‘Evergreen content’ is a page (or post) that is NOT necessarily timely so much as it is informative; this content should remain relevant to a degree that it stands the test of time! 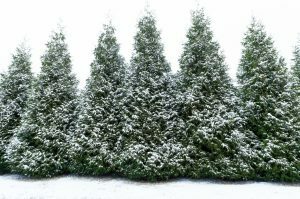 What Does Evergreen Content Offer? Because it will always be considered up-to-date, in theory, ‘evergreen content’ will always be of primary interest to visiting readers. With detail, it should define authority for subjects your company is the leader for. In cases where being relevant in a particular area ( i.e. county, town or city ) is important, evergreen content will define authority for that area or geography. In contrast, “Current Pay Per Click Advertising Best Practices” is not a good example because it’s meant to be relevant right now. In this case, a blog post might be better suited due to its date- stamp or timely emphasis. Current, by definition, is about things going on NOW and so, for instance, “Current Link Building Best Practices” have become less relevant as platforms & strategies advance or change. Be careful! Even an evergreen topic can change ever so slightly, so periodic reviews in order to be sure they remain 100 percent correct is recommended. Evergreen content should always be comprehensive coverage & subject specific, so it can stand the test of time! The chance of competing for visibility in search engine results pages begins with content. When it’s capable of remaining useful to many, if not most, visiting readers for a great deal of time then the likelihood it will motivate signals (i.e. time spent on page, links to the page, bookmarks, likes, shares, pins) search engines use to rank content is much greater. Needless to say, evergreen content has become an important competitive content strategy that will improve your SEO! 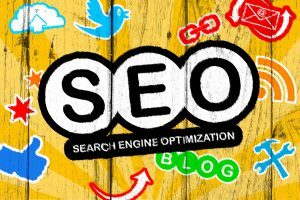 Get thinking about what you are authoritative for ( for support see Copywriting | Blogging Services ) and if SEO Services are necessary. Contact Kinetic Knowledge for a consultation! The Long Tail theory was developed by Chris Anderson in his Oct 2004 Wired Magazine article describing how the web might influence business. Anderson, Editor of Wired Magazine at the time, later authored his best selling book ‘The Long Tail’ to better detail his theory. As it applies to better search engine optimization and marketing – the idea with ‘The Long Tail’ is to be visible for as many variations of one’s core business subject focus (via indexed keywords in published website content) as is possible. The proven theory being that, while a business may generate less search discovery per keyword variation (i.e. 3 Bedroom Condos For Sale New York City) than it will for the most obvious & highly targeted keywords (i.e. New York City Condos) due to the amount of competition for those obviously targeted keywords, the collective impact of a broad set of variants might easily exceed that of the most targeted. Again the more varied (or long tail) a search term is, the less competitive it is to be discovered in search results. An SEO strategy focused on long tail keywords is one capable of not only capturing more traffic, but more highly qualified traffic. This is NOT meant to suggest a business should give up targeting the obvious searches (i.e. New York City Real Estate). On the contrary, the argument is a potentially cost-effective approach to being a great deal more visible in the search engines. It means being visible to extremely qualified people demonstrated by how specifically they search. Search visibility can be some of the cost- effective advertising period; however, pursuing the most competitive search topics can easily become be cost- prohibitive. Research shows that people do search more specifically. 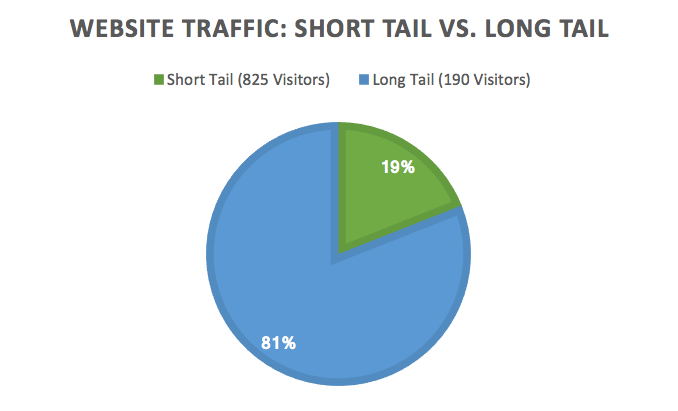 To demonstrate this ‘Long Tail’ theory, here are traffic analytic data drawn (compiled in 2007) from a publish content- committed Vail CO Real Estate agency client. This agency had broad keyword indexing for both the most sought after (and then also the not so sought after) targets. The agent focused on being indexed for everything going on in its’ community as it relates to Real Estate. We examined one month of data to demonstrate ‘long tail’ search discovery success for this (albeit anonymous) agent in Vail, CO.
h.) random/ miscellaneous equal to 91 total searchers … hey, they blog about what’s going on locally a lot! Albeit anonymous, the data above demonstrates the ‘Long Tail theory’ and success based upon discovery for less targeted keyword variations; discovery amounting to 81% of the overall search traffic and 435% more visitors than what the short tail of search delivered. That’s a lot of traffic and potential leads! We’d argue the Vail Real Estate Agency are not only cost- effective marketers, but even better – they are capturing highly qualified eyeballs!